Training Team is open to beginner as well as more experienced climbers. 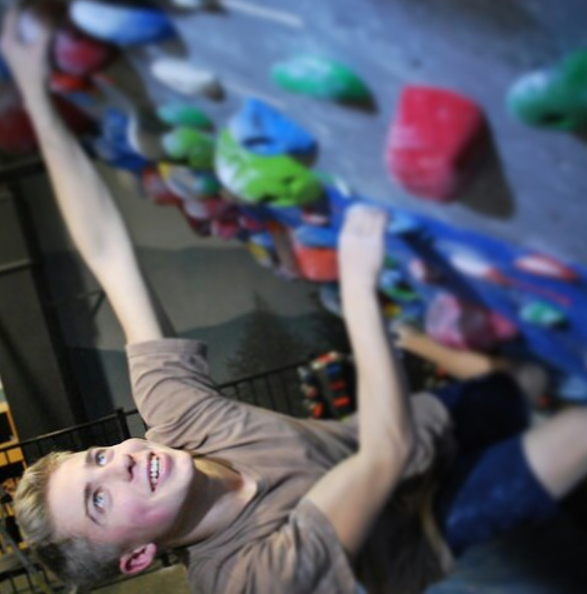 This is the perfect spot for those dedicated to improving their climbing skills and achieving individual goals. This team blends workouts, soft skill training, and coaching feedback in an atmosphere full of encouragement and camaraderie. Training Team members are not required to compete, but are encouraged to! Members of this group are urged to attend at least two practices a week for maximum results. Who: Climbers interested in sharpening skills in the best environment. The Training Team is also for climbers wishing to try-out for the Competitive Team. Sign up at either gym's front desk! Rental gear included ANYTIME you climb with us! A great deal for our youth climbers. NOT SURE? sign up for a free guest pass to try out a practice!